Watching an IRONMAN race is an endurance event all on its own. 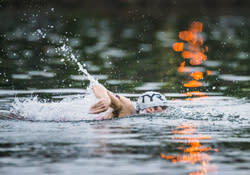 It requires a lot of planning to follow your athlete on the course that features a 2.4?mile swim, 112?mile bike and 26.2?mile run. But it can be an incredibly rewarding experience. Whether you’re following a particular athlete or simply there to support them all, here are some tips to help with your IRONMAN viewing experience. Stop by the Lookout Rowing Club, which offers high ground to watch your athlete make his or her way downstream. You’ll be close enough to pick out individuals if you’re really talented. Get Directions. From the overlook at the Hunter Museum of American Art and the Walnut Street Bridge you can see the river and also get a sprawling view of North Chattanooga. You can see the swim exit from here — and the athletes can sense it getting close, too. Just one more slight kink in the river separates them from their bike. Get Directions. The Market Street Bridge offers the perfect bird’s?eye view of swimmers as they finish the swim. You can see them exit the water and head into transition. Get Directions. The bike portion of IRONMAN typically offers spectators a break. Once you see them leave transition, the ride takes 5 to 8 hours. This is a great chance to grab coffee and breakfast at one of the many local shops. During this time, you can also stop by the stores on Frazier Avenue, the public library, the Tennessee Aquarium or the Creative Discovery Museum to keep testy children at bay. Keep your cell phones topped off throughout the day at Whole Foods or at one of the many local coffee shops. 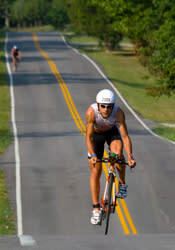 To help spectators safely and easily see their athletes, Ironman is offering a shuttle service into Chickamauga, through which cyclists pass twice. Trips will be running from 9 a.m. to 3 p.m., and they’ll bring you back into downtown. This is the best way to catch the action. If you want to stay downtown, you can also watch the cyclists at these locations. The transition area—specifically, just outside of transition—is a sure place to see athletes. Located at Ross’ Landing, not only do the athletes come through here twice (at the beginning and end), they’ll also be moving a little bit slower. So you can shout some much?needed words of encouragement, and there’s a much greater chance that your athlete will actually recognize you. Get Directions. The Chattanooga Market and Chew Chew Dog Park comes alive on Sundays, with local merchants selling things like handmade popsicles, pottery and everything in between. You’ll get to see athletes finishing the ride by the time the market is open, and it’s easy to get back to transition from here. Get Directions. If you’re willing to drive, Mountain Cove Farms is the furthest point on the bike course and features some of the most beautiful, secluded countryside in the whole area. You can see athletes make the turn to head back north on both loops. The country store here is a favorite of local cyclists, too. 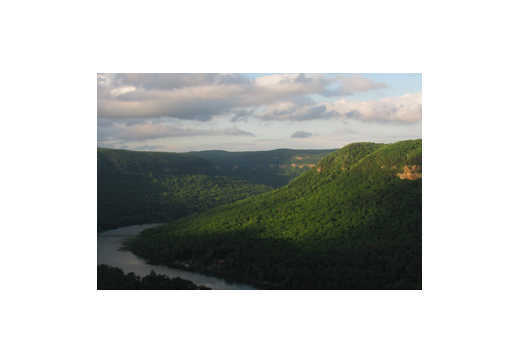 However, you have only two good options for viewing here: Come early, bring a picnic lunch and wait for the last cyclists—or drive further south and take Highway 157 over Lookout Mountain back to Chattanooga. Get Directions. Here’s where the IRONMAN really comes alive. Not to minimize the challenge of cycling 112 miles, but running through the finishing tape is what every triathlete dreams about. The more iconic, the better—and Chattanooga’s course is one that the athletes won’t soon forget. You’ll have anywhere from 3.5 to 7 hours to watch your runner, so there’s no need to stake out the finish line just yet. 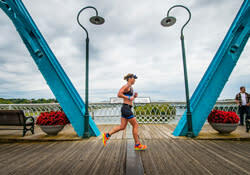 Have dinner and drinks at a Frazier Avenue eatery, like Brewhaus, where you can sit on the back porch and watch athletes crossing Walnut Street Bridge. As athletes start the run, they begin a fairly tranquil section of the Riverwalk—the same section from which you watched them swim. It’ll be a reminder of how far they’ve come, and how far they have left to run. Ride your city bike to the first turnaround (about four miles in) at the corner of Riverport Road and Amnicola. Athletes will face some small rises back into town before crossing Veteran’s Bridge. Then the fun starts. Riverview Park is a great spot for keeping young kids entertained during a day that’s long and tiring for everybody. This park is just a block from the run course, where you could see an athlete up to four times. Get Directions. Get up close and personal with the athletes on Walnut Street Bridge. As they run toward the city’s skyline, there’s nothing better than the support of friends, family, and total strangers. If it’s their first loop, they’ll be excited to hit the halfway point. And if it’s their second loop, watch out—because they might give you a massive, sweaty bear hug, with the finish line less than a mile away. 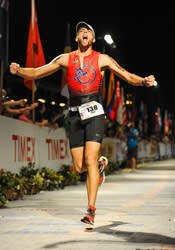 An IRONMAN finish line is like nothing else you’ve ever experienced. The pros usually finish in 8 or 9 hours, while competitive age?group athletes are in the 10 to 14 hour range. But the dedicated troopers who finish closer to midnight cutoff really electrify the finish line. It’s so thrilling, in fact, that many of the athletes who finish by dinner time will come back and ring in the last finishers. There’s nothing like hearing legendary announcer Mike Reilly shout “YOU ARE AN IRONMAN!” loud enough for all of Chattanooga to take note. This is where grown men cry and tiny women roar like lions. You may know them, you may not. But you’ve taken a 17?hour journey with them, and your cheers will forever echo in their memory of when they became an IRONMAN. When the fire has died down, hungry athletes and families will be searching for late?night sustenance. Check out Hi-Fi Clyde’s, the Flying Squirrel, or the City Cafe to remedy the midnight munchies and a mountainous slice of cake for your reward for a job well done!